I have been playing a lot with Istio and recently tested mTLS encryption. The test, which I describe in this post, really materialized the OSI layer in front of my eyes. which is always interesting how new stuff can dust off your old basic knowledge. The entire concept of service mesh and Istio is exciting and revolutionary in my view… but just like any new groundbreaking tech, it takes a few cycles to realize how it manifests beyond the papers, blogs and theory, at least for me. So, as I usually do, I share my experiences on this blog and in my sessions with other in the thought that if I can help even one person understand it better I have achieved my goal. When I started working with VMware ESX in the early 2000, I knew it was a very cool tech; and not only me, everyone knew there’s something special about it. However, I haven’t fully grasped the full value of this technology right of the gate, at that point, I only saw “server consolidation” in front of me. When vMotion came out, and we realized that physics has changed for our servers, we were no longer tied to the hardware the Server was running on. That hardware abstraction allowed us to do things we couldn’t do before. like fixing hardware issues or patch it with no downtime, scale much better and faster by deploying VMs when we need them and monitor the health of the infrastructure much better, even self heal. A new exciting world of agility we never saw before was opened. Due to the above combined with automation, the effort of managing servers has been lowered, and fewer people are needed to manage fleets of servers. 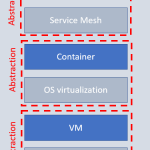 What does that has to do with Service mesh you ask? Recently I started focusing on Service mesh, mainly Istio, testing it in the lab, learning the technology and feeling that magic again. While the technology is cool, I was trying to understand the business value that is more than buzz words like distributed, load balancing, observability etc. However, at some point, I realized that I was looking at it all wrong. I was looking for the value from a networking operations point of view, it’s only when I looked at it from a developer value when it clicked. I see much equivalency in Service mesh to virtualization. In the monolithic app world, many of the different pieces of code that compile the application or service are running on a small set of servers, so making decisions about how that component interacts with other parts of the application are written in the code. That means that for every piece of meaningful code that differentiates the business the application is servicing, need to have much non-differentiate code along with it. Things like server and client side communication, service lookups, error detection and response, telemetry, security are taken care of in the code or middleware software. With the rise of micro-services (and the use of containers for that purpose) each container now runs a piece of differentiating code and is a single purpose server that communicates with other services on the network. The distributed architecture and the proliferation micro-services, bring new challenges to manage, monitor and troubleshoot problems. We replaced our monolith with micro services so that every outage could be more like a murder mystery. We can apply our desired state as policies to anything that is not the core function of our software, change policies on the fly without changing our code which saves much effort spent by developers, dynamically changing the policies without changing any code, apply security and authentication to transactions and have better visibility into the application health. Self-healing becomes a real thing now. 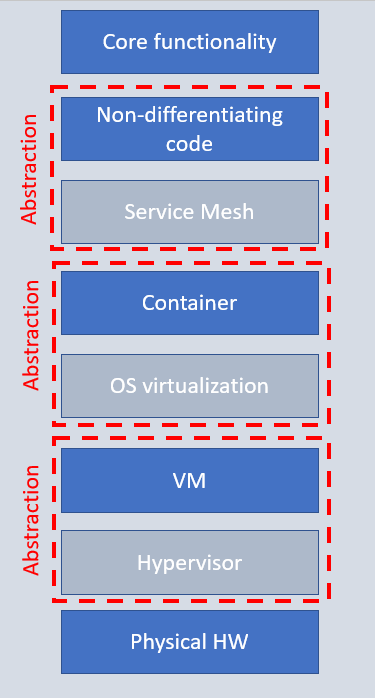 But just like virtualization brought its own set of challenges, Service mesh is no different, which I will cover in my next post. I think this analogy explains the subject, and the proliferation of abstraction layers brings a new set of challenges from a management point of view. security is compromised to gain more speed. 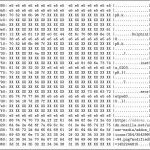 Basically Intel engineers designed their CPUs to be more performant but neglected to make sure they are secure enough, and the result is that one piece of code running on an Intel CPU can read the “kernel memory” of the operating system (OS) . Think of the kernel memory as your brain’s secret thoughts, what would have happened if I gained access there? In the computer world that’s where all your passwords are for example. The patches that are coming out for this one are on the OS side (windows, Linux etc) and they expect to slow down all Intel chip sets by 30%-50%. Yes, your computer will be slower. The second name you might hear is “Spectre”. This is a vulnerability that affects ALL cpu vendors. And the worst thing, this cannot be patched, it’s a basic design flaw and it will stay with us for at least a decade until the current HW cycle gets refreshed world wide. Fortunately this one is much harder to exploit. We will have to see how this rolls out. Most worrisome use case besides getting the password of your grandma back accounts, is shared HW, especially in the cloud. Think of one customer who rents compute resources from the cloud and is able to read password and data of other customers running on the same HW. Maybe your bank is the victim? And this affect everyone! That’s it, hope this helps, let me know your thoughts.